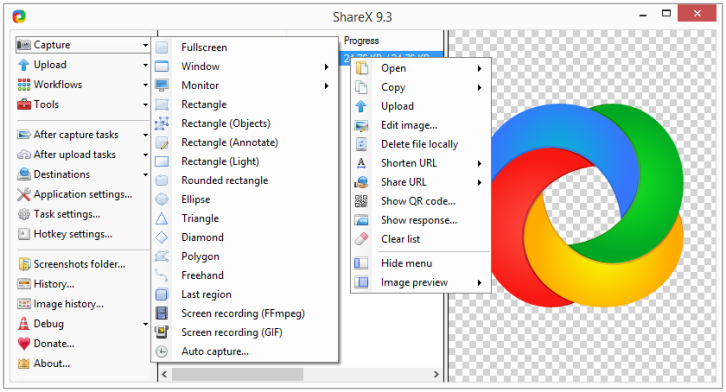 ShareX is an open source program that lets you take screenshots or screencasts of any selected area with a single key, save them in your clipboard, hard disk or instantly upload them to over 30 different file hosting services. In addition to taking screenshots, it can upload images, text files and all other different file types. Upload files via Windows Explorer context menu or drag & drop. Upload clipboard content. You can also customizable after-capture-tasks such as annotating, adding effects, watermarking, uploading and other actions. Is it better than Greenshot ? Think of Dropbox, or onecloud, or Box, or Skydrive, etc.etc..now think “Self Hosted” – that is what I use ShareX for, amongst many other things. 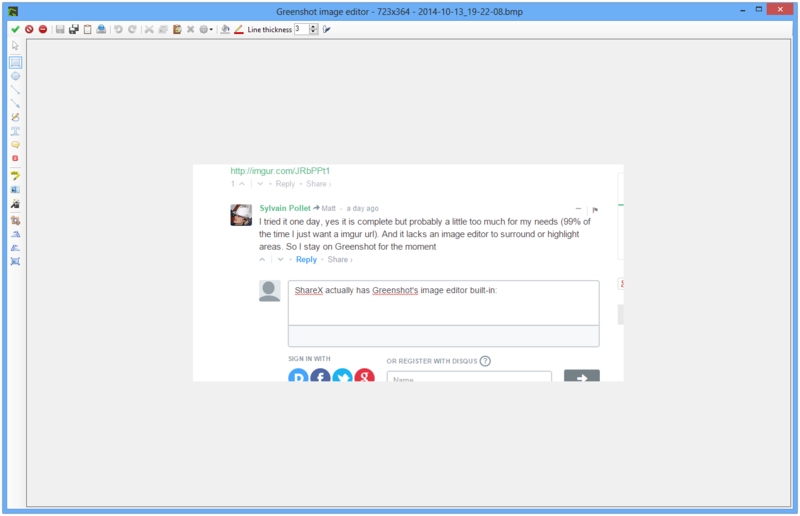 ShareX actually has Greenshot’s image editor built-in. See this screenshot: http://i.imgur.com/hx6id8O.png. You can enable it by selecting ‘Annotate Image’ under ‘After Capture Tasks’. Additionally, you can also set ShareX to use other image editors via the ‘Actions’ tab under ‘Task Settings’. The best software… I using it 6 years.. constant update.. feature rich.. alot of automation.. super flexible.. create.. our business mainly rely on this software as solution for file hosting manager.